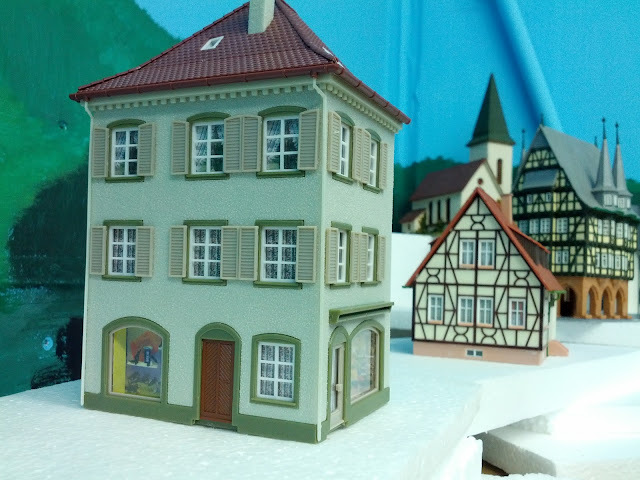 I'm putting together yet another Faller kit to add more houses to Emsingen. 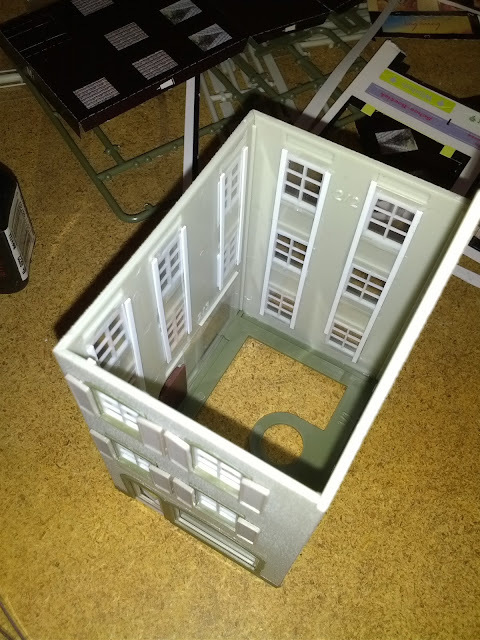 In this kit I'm trying out a trick to get more depth behind the windows by adding a 0.20x0.60" styrene strip on the inside to keep the paper mask a whee bit away from the window glass. The 3D effect is surprisingly good. I did not expect that at all. 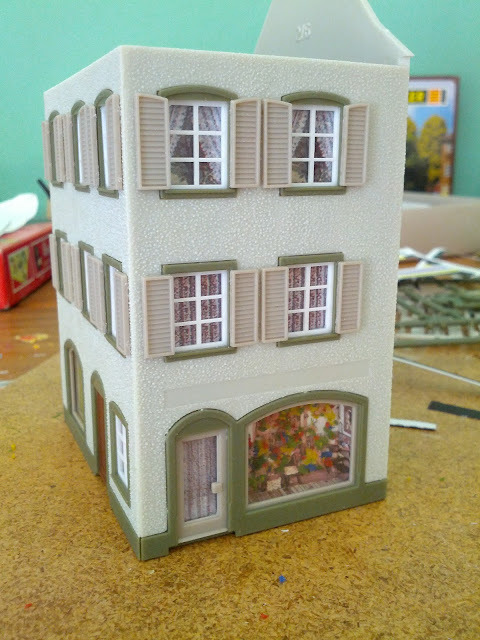 Franziska wanted to have a flower shop in the house instead of the bar that comes with the kit. I re-decorated the shadow box behind the big window with some foam flock... Well, ... at least it's clearly no longer a bar. I'll add a canope for "Franziskas Blumenlaedle" later. The house placed with it's friends in Emsingen. I have at least 5 more kits to go before I'll even attempt arranging houses and where to put streets.